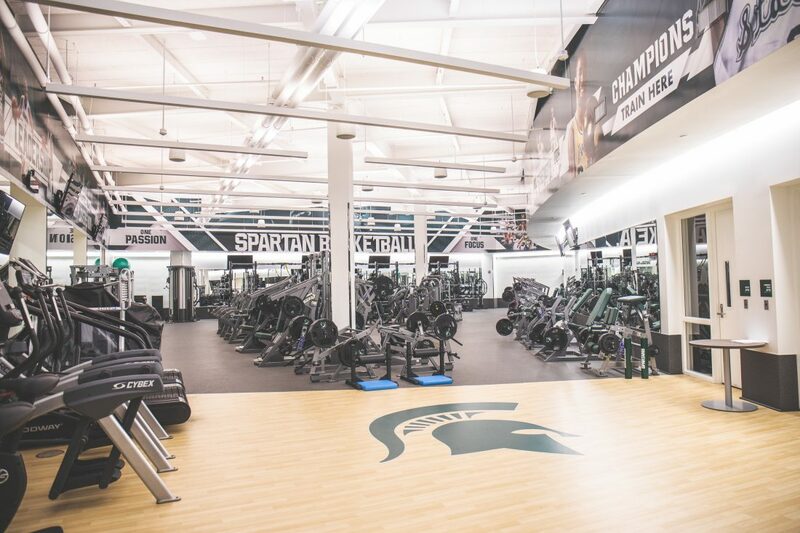 A Photo Tour of the 8 Rooms That Every Michigan State Basketball Recruit Sees On His Visit The facility is East Lansing is luxurious. 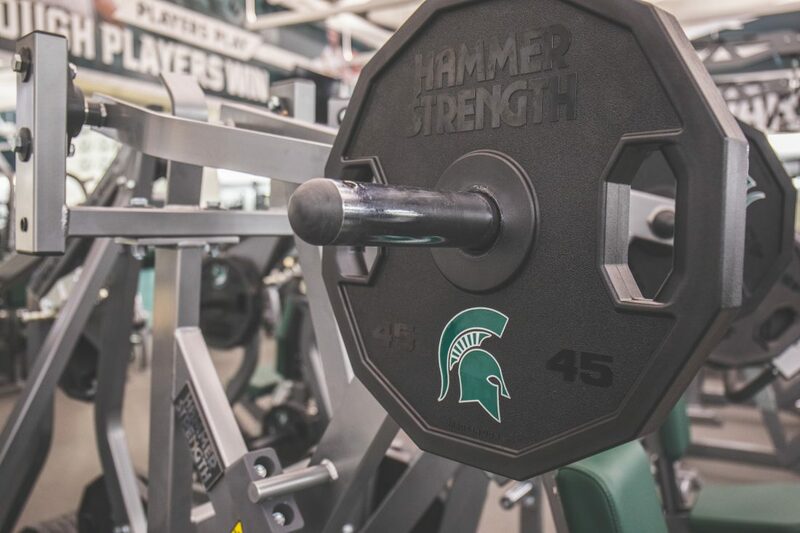 Michigan State University’s athletic facilities are some of the most luxurious in the Big 10, and our video tour of its basketball facility reflects that. 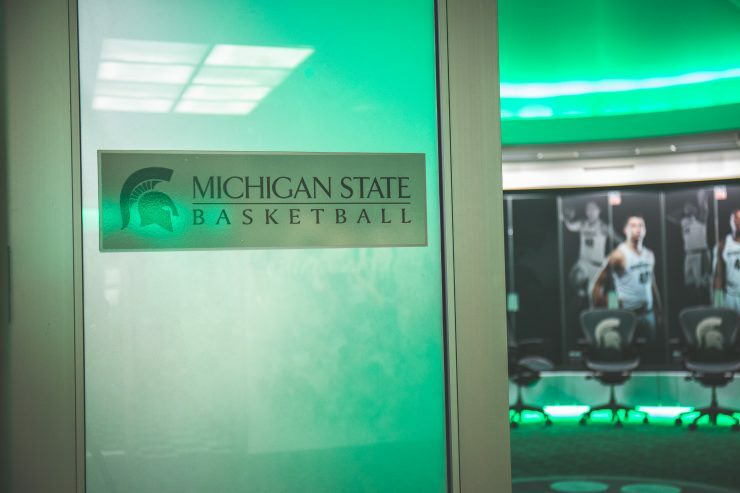 Michigan State Basketball fans and students can see tons in the open-to-the-public foyer area of theBreslin Center, such as the “Kiss” tradition wall, the “Spartans in the NBA/WNBA” wall, a large-as-life Tom Izzo wax figure and much more, but it’s what lies behind the doors to the basketball-exclusive area that’s insanely impressive. 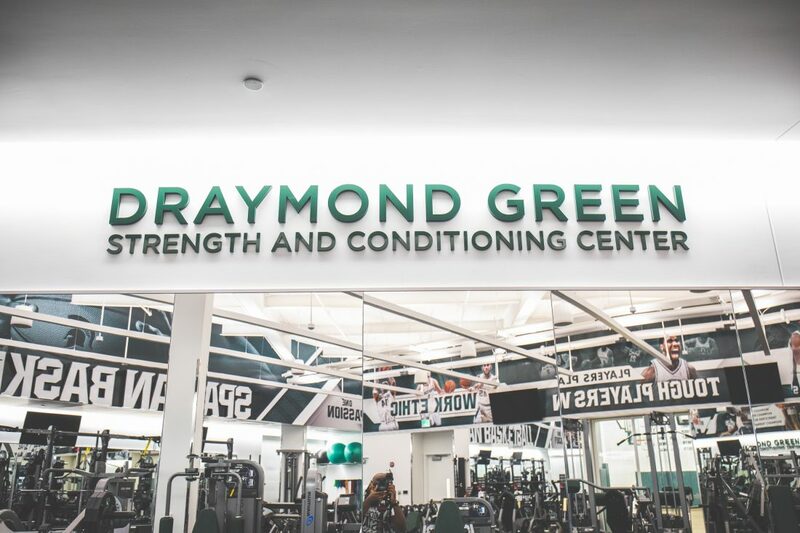 Starting with the state-of-the-art Draymond Green Strength & Conditioning Center, check out the eight rooms that every Michigan State Basketball recruit sees on his visit.